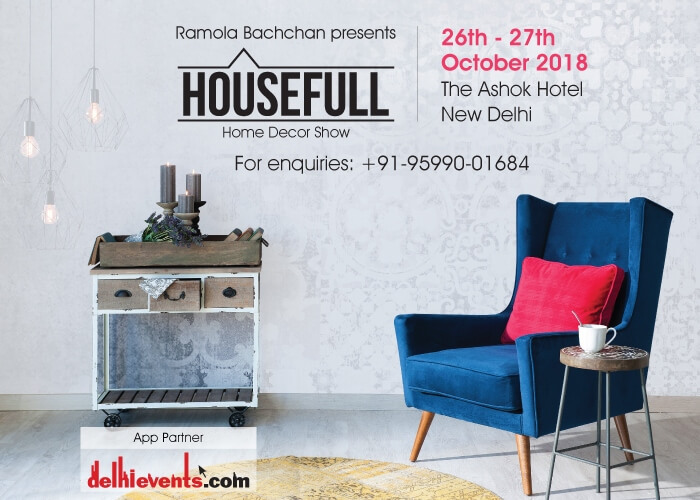 This pre-Diwali home decor show features the latest trends in furniture, home accessories, soft furnishing, lighting, rugs, outdoor furniture, artwork, artefacts, gifts and much more. This year's confirmed participants include - Villeroy & Boch, Hunter Douglas Window Blinds, Murano Glass, 3M India, MAC Bruzae, AIS Glasxperts, Lexicon Art Gallery, Elemento Wall Coverings, Momentz Silverware, Rameshwaram Silver Furniture from Udaipur, Devika Diwan Designs, Abode Dress Studio, Rohit Khurana Designs and Gallerie Splash. Many other leading brands are in discussion. HouseFull sees visitors from various fields including architects, interior designers, bulk buyers and real estate companies. Visitors include our consumer database of 20,000+ elite A-list visitors that regularly attend our fashion & lifestyle exhibitions.